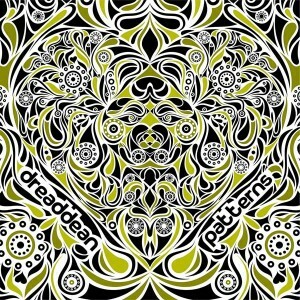 Tribal Sphere Records is proud to present Patterns, the debut album by Dreaddean (Lain Martinez), a Spanish artist based in London. Prepare to be immersed in pure psychedelic trance atmospheres loaded with groove and melody. Lain has been polishing his sound in his studio for years now, carefully preparing this sonic trip to work as much magic on the dance floor as it does for home listening. Now it is ready to be released to the world for the enjoyment of all! Mastered by Colm O’Rourke with artwork by Nemglaz. MP3 Download | FLAC Download | WAV Download · Download count: 7,155. These Patterns are interesting, indeed. I am reminded of clean, crisp morning trance-like melodies, all following the same sound palette for a few tracks, and then the tempo and pitch changes into a faster, darker series towards the end. An intentional, well-rounded album, deep, driving and yet mellow, a good listening experience. Nice work!! This is very nice, touches the heart and moves the body. Tracks set in place perfectly for a wonderful progression throughout the album. BOOM! Nice, smooth, clean album, yet full of energy. Good work Lain. Hey Folks, looking for more stuff like at 4:30 in first Track. Any suggestions? Amazing tracks! Loved every single one of them! Magnifique jacket et super tracks sa envoi sec trés bonne prog je kiff les percussion de la pemière 2:40!